Following yesterday’s full moon and penumbral lunar eclipse, and five days before the Equinox on September 22th, we’ll go back firstly to September 9th (9-9-2016=999), starting with a big thank you to all incarnate love/grace anchors who focused along with star family and the Agarthans to plant another deeper level of rebirthing energies, codes and attributes into the higher dimensional planetary grid in harmony and alignment with Gaia. I saw/felt many thousands of lights flowing love into and around the planet, whether in a general way, or with specific focused tasks. The more who bring themselves into alignment with universal love, in this here and now, the closer we get to a collective vibrational crossing point, beyond disruption or interference. 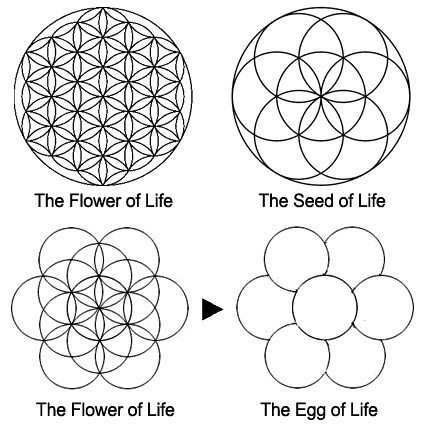 For one group (of nine) and many helpers, our focus was at a crossing point on a ley line in a mountainous area, where the 999 flow of rebirthing energies included the planting of a higher dimensional Egg of Life, which was beautifully received, and is well ‘nested’. The next night, September 10, this Egg birthing symbolized in connection with the Moon. 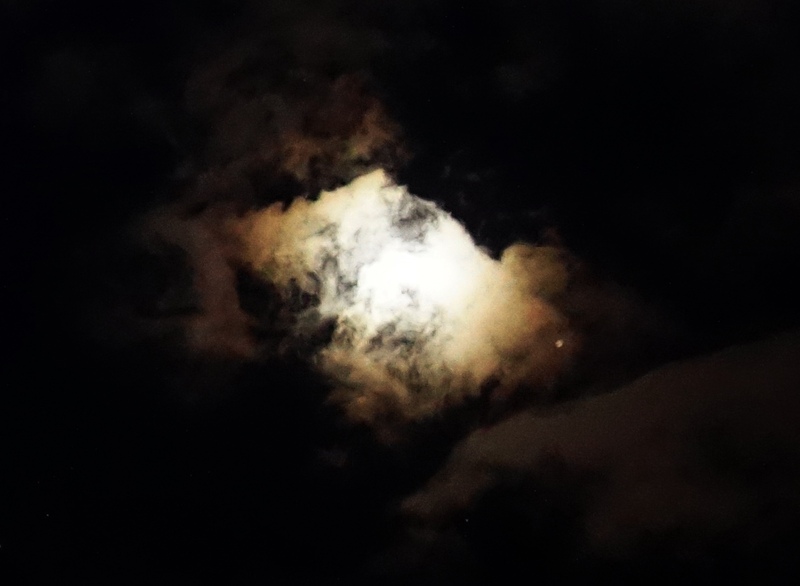 First, the moonlight lit the surrounding clouds in the shape of a snowy mountain. Moonlit ‘cloud mountain’, September 10, 2016. 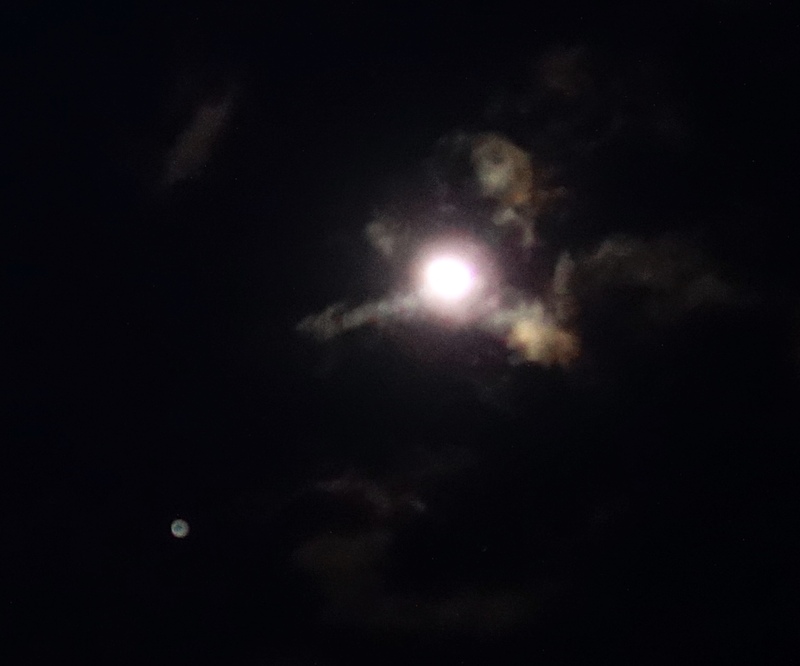 As the clouds shifted, an open crescent or bow shape formed right below the Moon, and an orb appeared as if having been just released from the bow. Feel the symbolism of the Divine Mother ‘giving birth’ through the open arch of creation, life coming through the opening of the Lunar Portal. 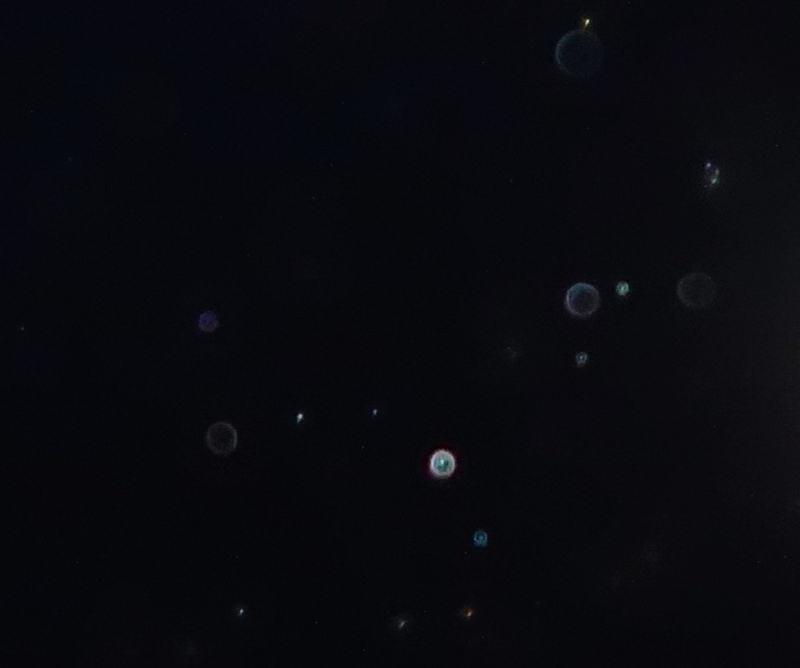 ‘Egg’ orb births from the open Lunar Portal, September 10, 2016. 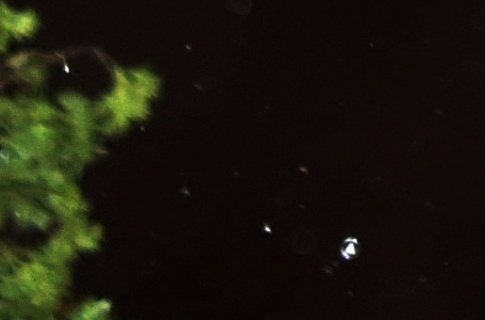 As the crescent began to dissolve, a green ‘guardian’ appeared in orb form and positioned itself above the Moon (green represents the heart energy, the life energy, revitalization). 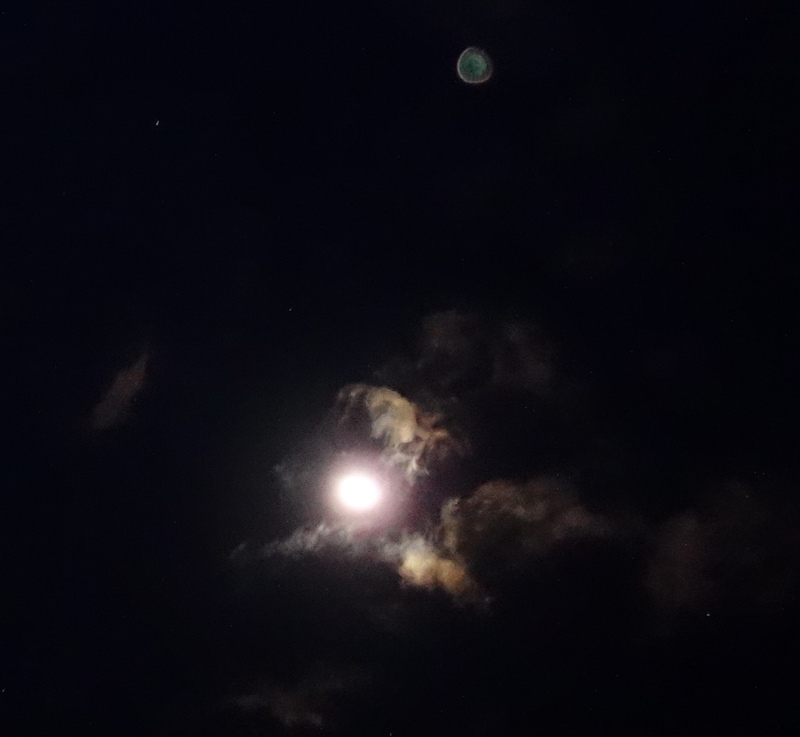 ‘Green guardian’ orb positions above the Moon, September 10, 2016. 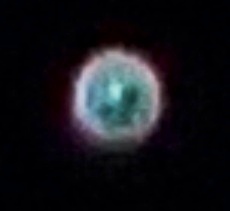 The next night, September 11, this beautiful guardian appeared more clearly, among many orbs. 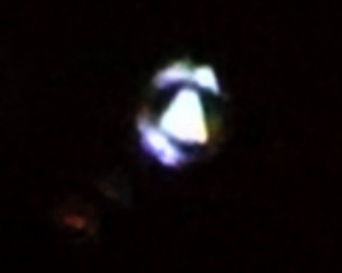 Green face in orb, September 11, 2016. ‘Angel’ close-up, September 16, 2016. 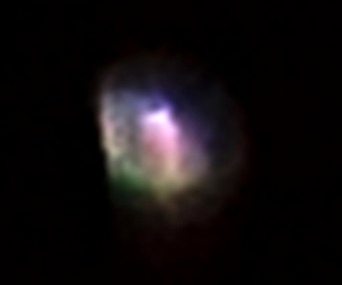 Many loving beings of various star systems watching over the Earth support the light anchored in key global points that day/night (and ongoing), such as this blue friend from the binary star Izar (in Boötes, near Arcturus), enveloped in pink and violet light of Divine Love and Transformation of energies. 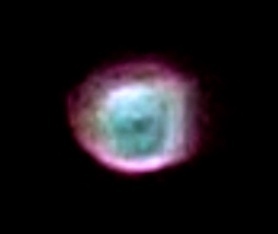 Blue face in a pink orb, September 16, 2016. 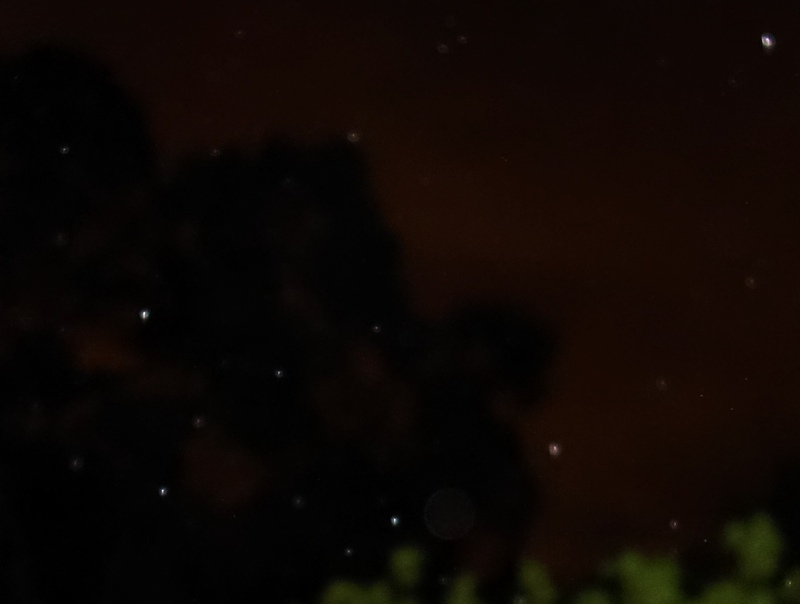 Here is the final ‘raindrop symbol’ from last night, after which the wind dropped and the rain cleared. The rose candle of the Divine Mother can be seen alight and safe, anchored in the green growing life of the Earth, and shielded in the Violet Flame. Rose candle raindrop, upper right corner of photo, September 16, 2016. ‘Rose candle alight’ in raindrop, September 16, 2016. So now, leading into the Equinox on September 22, point of equilibrium of equal day and night, if you feel so moved, hold this Rose Candle within your heart, let Divine Love radiate throughout your being and flow out around this planet. 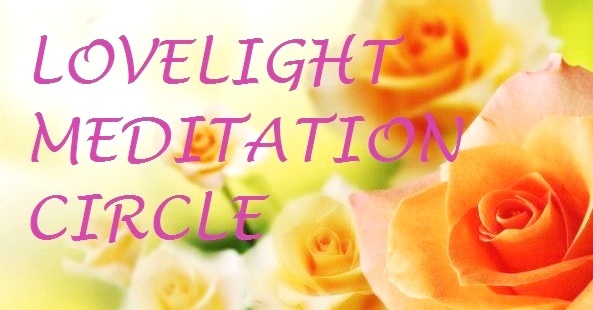 Breathe in light, love and grace, breathe out light, love and grace….for the light of this candle lives within the Eternal Flame of your own soul. Let the joy of that knowing fill you, and bring your being into equilibrium if it is fluctuating, unsteady or weary. Let yourself feel the eternal nature of your soul, beyond time-lines and cycles, yet flowing peacefully through them…for you are multidimensional and timeless in essence. Anchored in Life, bathed in the glow of transformation, we are all Love.